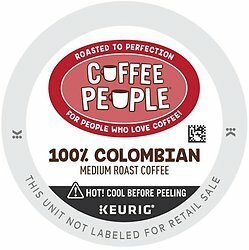 Coffee People 100% Colombian Coffee - K Cups. Smooth, rich, arabica coffee. Part of the new value line, it delivers a quality cup, at a very fair price.